Marble countertops are still a preferred choice for many people when it comes to kitchen remodelling and if you are in the market looking for options that gives you an elegant look with clean surface design, then you cannot go wrong with the marble countertop. You have many choices with the Edmonton marble countertops and you can choose the one that goes best with the design theme you have in your house. 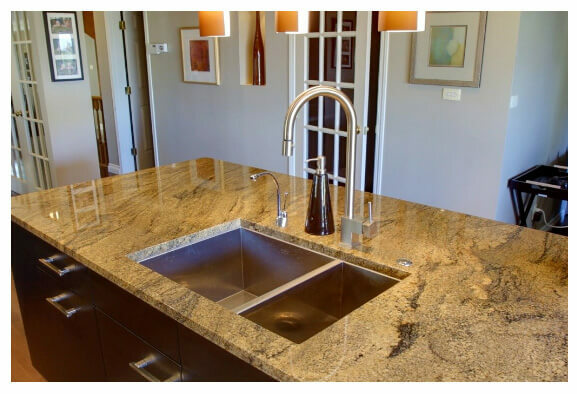 It is true that granite is still more popular and preferred stone, when it comes to the kitchen countertops but this doesn’t puts a dent on the popularity of the marble countertops, as they have some benefits over the granite stone. Here are some of the reasons that make marble a good choice for the kitchen countertop. There is no denying the fact that the Edmonton marble countertops looks timeless and have elegance in them. The white colour of the marble goes well with almost every theme that the homes have and you a surface that has design patterns which is sure to grab the attention of people. White colour also makes them very easy on the eyes and gives them a sheen that matches with the rest of the design elements in the kitchen. Marble countertops are going to cost you a lot less than the granite ones. If you are planning a remodelling on a budget, then the marble is the right choice for you. If you have a big countertop, then you are going to save a lot on the overall cost with the marble stone. The similar dimension of granite might cost you double or even triple the amount of money, depending on the colour and the design that you are going to pay for the similar marble stone. Contrary to popular belief, marble is also available in colour choices and it is not just available in a single shade of white. You also have a choice to get the marble in different shades and if you are someone who is in love with the white shade, then you will find the marble the best for the use as a kitchen countertop. Edmonton marble countertops are also offered in various shades of white, cream, black, green, and pink. If you though that marble was only available in white then have a look at the variety of choices it is available to you. You don’t have to spend a lot on the care and maintenance of the marble countertop and all you have to do is to wipe it off with a damp cloth on daily basis, to maintain it in pristine condition. It doesn’t require the use of any special grade cleaning agents or solutions. Make sure that you are getting the marble sealed from a professional periodically, to save you from the worries of staining and patches on the surface of the stone.